Now entering its fifth year, NYC Pride and the National Gay & Lesbian Chamber of Commerce are excited to welcome all to another delicious year. 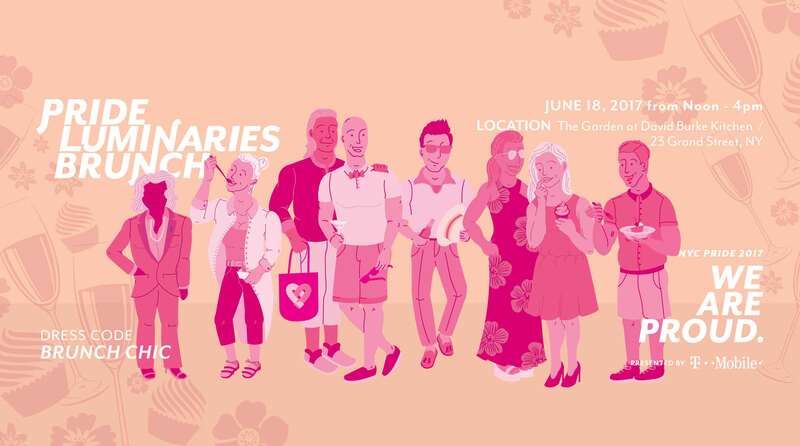 The Pride Luminaries Brunch celebrates business leaders that have made an impact on LGBT equality in the workplace throughout the year. So dress to impress and join industry insiders, media mavens, and proud politicians for what will be the brunch affair of the season. The event has traditionally been held outdoors at The Garden at David Burke Kitchen, surrounded by lush greenery overlooking lower Manhattan. Fill up your Pride calendar by packaging the Pride Luminaries Brunch with your OutCinema ticket on Monday, June 19 and get extra savings. All proceeds benefit NYC Pride and its upcoming WorldPride 2019 and Stonewall 50 events.